The Champion 7000 Series, our original model, provides a lifetime of reliable, trouble-free operation, as well as a very high level of energy efficiency for your home. With Champion Windows, you will find quality windows and doors that help builders achieve better results with quick delivery times, personalized service and minimal call backs. The Champion 7000 Series is affordable and available in many styles and sizes.The 7000 series also provides a 5/16“stucco key for security and an exterior glaze for optimum performance during all seasons. We provide all of our windows with weather-resistant features and virtually maintenance-free vinyl construction. 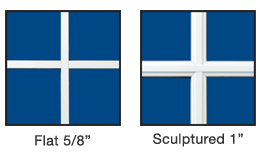 You will be giving your customer’s added value with Champion window and patio door products. If you have ever used our windows, you already know the difference we provide for our customers. If you have not, we hope you will take this opportunity to see what a quality-conscious company can do for your construction business.